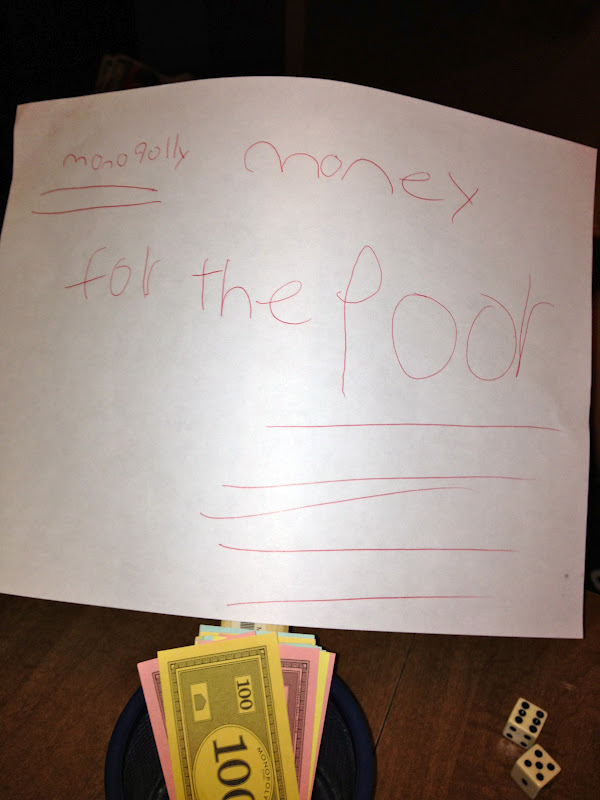 Our family played Monopoly last weekend. It took us all weekend and part of Monday to finish the game. It's not that it was a particularly long game, we just didn't have a lot of time to play. 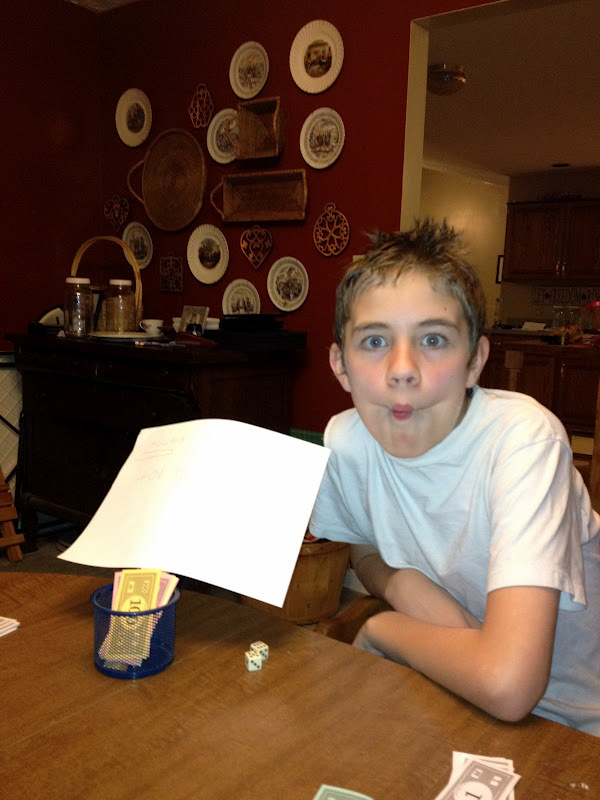 We frequently set up games and play them throughout the week. We love board games. They help us reconnect as a family. This game showed me what good sports we have grown through our constant game playing. I was also consistently at a 7 because of my children's generosity. About half an hour into the game, Xavier realized he was losing. 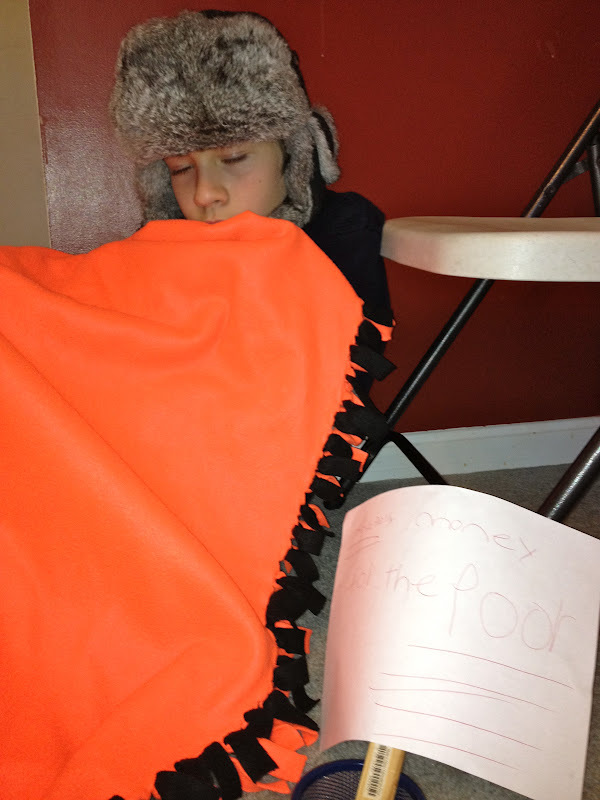 He called a timeout and ran into the kitchen, where he proceeded to make himself a sign. Both of his brothers immediately put money in his cup. Throughout the next few turns, his brothers did things like give him property for a couple dollars, only charge him a few dollars rent, etc. For the rest of the game, that cup got passed around between the boys. Wherever it was, it got money put in it. 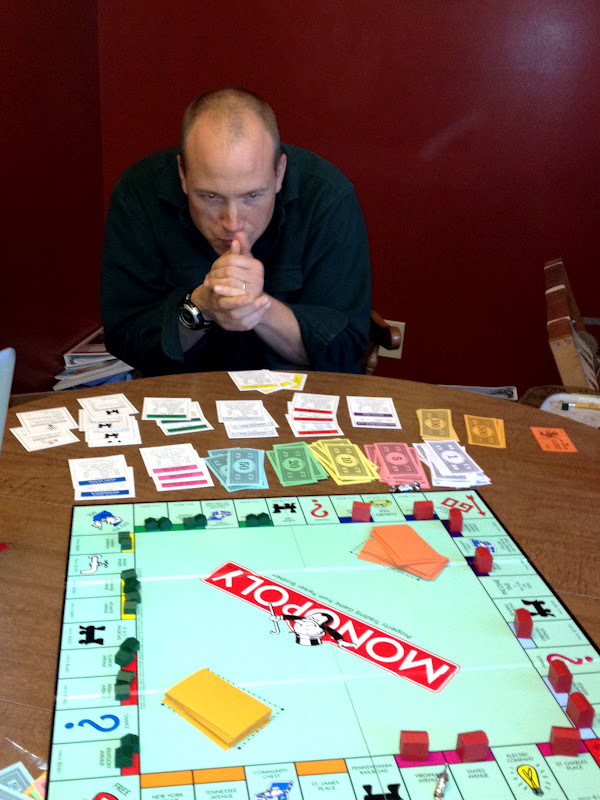 There was only one person who did not participate in giving money to the Monopoly poor. That mean old capitalist.